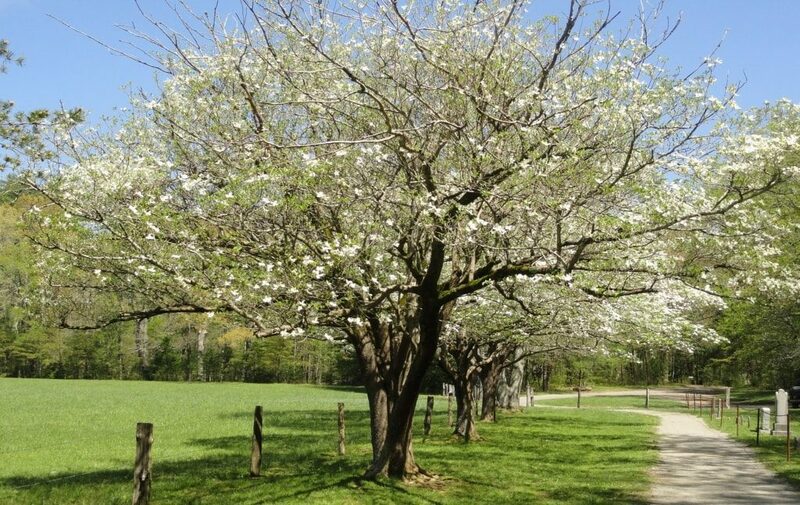 Dogwoods are some of the first trees to bloom in spring. They grow best in full sun to part shade conditions. Dogwoods attract birds and butterflies and make a great understory tree. Junipers are evergreen, meaning they’re always green, which provides interest during winter. They grow in full sun and require little water. Some varieties are small, at 2-3′ wide, and others are very large, growing to over 15′ wide and over 35′ tall. There is sure to be a variety that can work in your landscape! 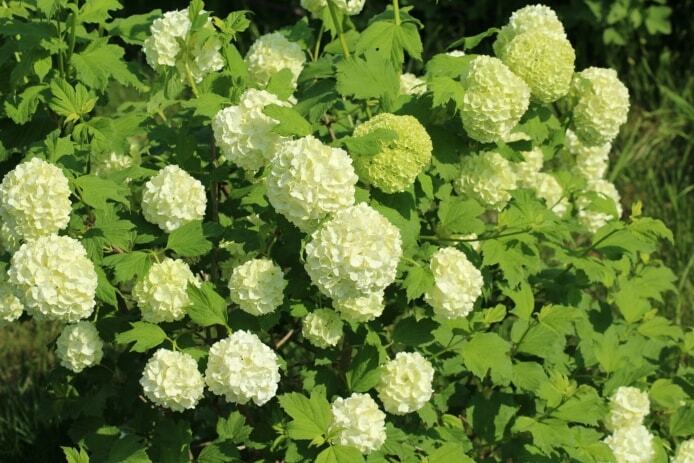 Viburnums are rounded, relatively small, deciduous shrubs that grow in full sun or part shade, and bloom in June. Birds and butterflies love viburnums, and in the fall the leaves turn a lovely shade of red-purple to magenta. No, not the tree, but the shrub. Red twig dogwoods provide striking winter interest with their red stems contrasting against the white backdrop of snow. They are pretty easy to grow, thriving in full sun to part shade, and can attract birds and butterflies. Red twig dogwoods will tolerate wet and clay soil as well as deer, and tolerate erosion. While the flowers on coral bells (or Heuchera) are not that impressive, the foliage makes up for big time (coming in shade of brigt lime green, dark purple, and corals, among other colors). Coral bells are easy to grow, in full sun to shade with little water, they are a great low maintenance native perennial to add to your Grand Rapids landscape. 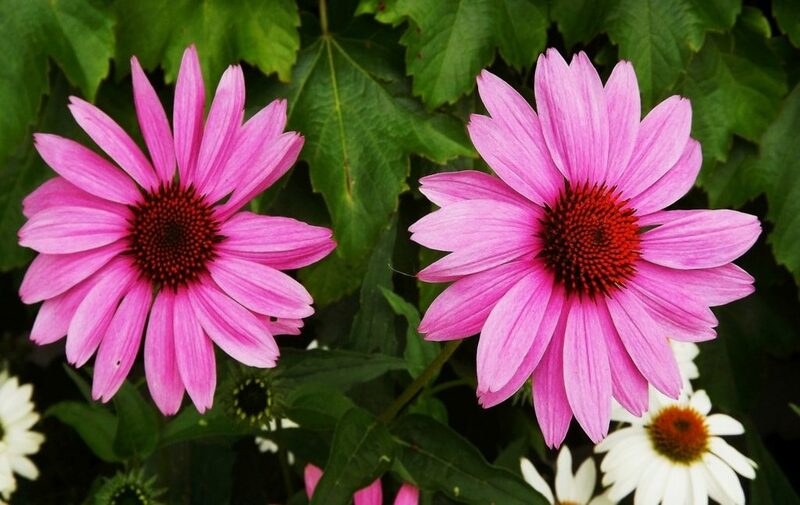 Coneflower seems to come up in all of our ‘Top’ lists for plants, but there is good reason for that! Coneflower comes in so many different colors and variations, is drought and deer tolerant, and most varieties bloom from late spring to fall. 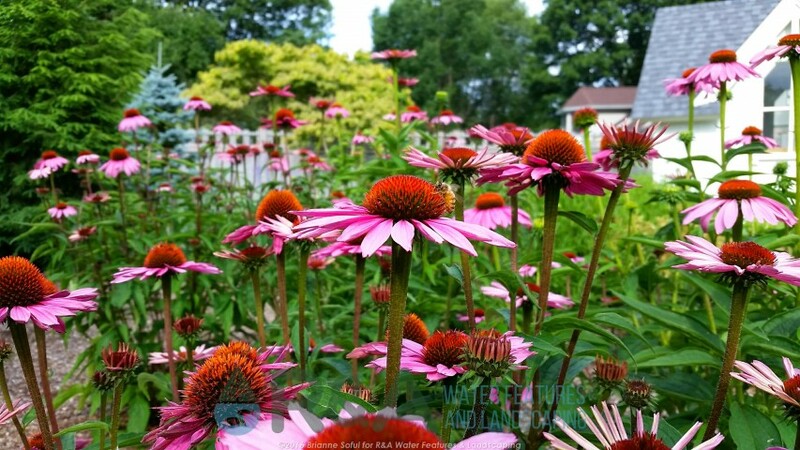 Coneflower can makes itself at home in nearly any Grand Rapids landscape. 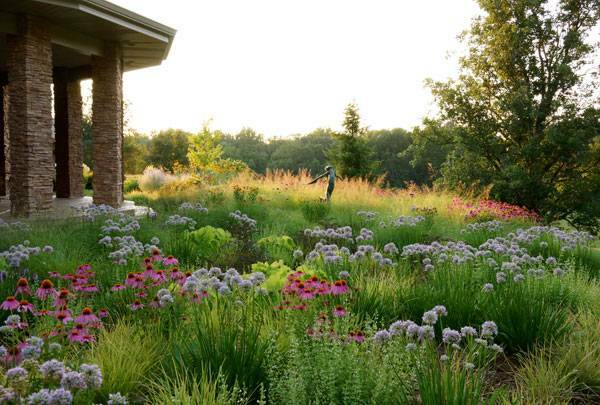 Adding sustainable landscape elements like native plants can make a big impact on your Grand Rapids landscape. Not only will the plants thrive better than non-native plants, but they also require less maintenance and water, saving you money. Check out our project gallery for inspiration and find answers to frequently asked questions. Get started on your next landscape project by contacting us today!